Your dog has an active and energetic lifestyle. This is great for his or her health and well being, usually. Unfortunately, this can also lead your dog into trouble. We stock a range of different dog worming products to help you and your pet. Over the course of the normal active day, your dog may come into contact with an intestinal parasite, also known as a worm. Ingesting this parasite or its eggs can make your dog quite severely ill. However, our dog wormers provide the answer. n most cases, a short course of treatment with our worming products for dogs will be enough to secure health and well being for your animal. However, sometimes symptoms may persist. In these cases, it is vital to seek advice and assistance from a veterinary professional as soon as possible. 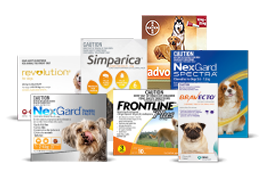 To find what you need to support the health of your dog, take a look at our product range and make your selection. To learn more about dog wormers or any of our other products, get in touch with the team today. 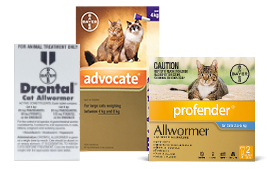 Browsing our range of dog worming products, you will find a broad range of different medications designed to keep your pet healthy and happy. These products support the active lifestyle that your dog needs and help to ensure that a case of worms is quickly and easily dealt with, no matter what kind of dog you have. At VetShopMax, we employ a team of experienced veterinary professionals. These professionals inform and curate our product line, making sure that all of our items come with the same high quality and high efficacy guarantee. Of course, our dewormers for dogs are no exception. However, if your dog is not showing any signs of recovery after taking the deworming treatment, it is critical that you take your pet to be checked out by a veterinarian without delay. Intestinal parasites can cause extremely severe health problems in dogs, and these should not be treated lightly. Use our deworming products to support the health and well being of your dog, but remember to stay vigilant of any changes in condition. With the right approach, your dog will be back to his or her healthy and happy self in no time. Take a look at the product range to get started, and don't forget to get in touch with our team if you have any questions or queries about our products or services. 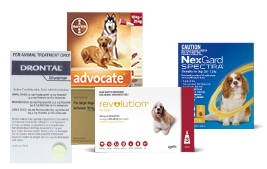 Most of the deworming products we sell for dogs are tablets. These are ingested orally and can be used to treat a variety of different intestinal parasites in our canine friends. 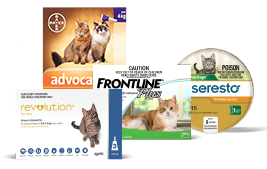 Check the product information to learn more about what type of parasite each tablet is designed to treat. If you are not sure which parasite your dog has picked up, get in touch with our team or with a qualified veterinarian. Smaller dogs and puppies may be treated with wormer paste. The paste can be diluted and applied orally via a syringe. This approach is easier for your dog to ingest and digest. Check with a veterinarian or speak with our team to find out if this option is suitable for your dog. Dogs come in all shapes and sizes, across a broad range of breeds and varieties. With this in mind, we have curated a comprehensive product range which covers worming treatments for many different dogs. If you are in any doubt about which treatment to select for your animal, don't hesitate to get in touch with our team. View our product range to find what you need. A case of worms is not usually too serious for dogs. After a course of regular treatment, the parasites will be eliminated in most cases, and the dog will be back to its usual healthy self. 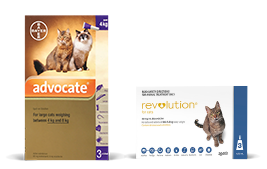 However, this does not mean that owners should be complacent when it comes to worms and intestinal parasites. This is why we provide our expertly curated range of worming products for dogs, to protect the health of the animals we love so much. Here are some of the dangers associated with worms in dogs. When your dog suffers a case of worms, it can become very difficult for your pet to get the nutrients he or she needs. This leads to a wide variety of other health problems, including weakness and reduced immunity. Speak to our team about effective nutritional programs during your dog's deworming treatment. Worms can cause sickness and diarrhoea as the body attempts to rid itself of the parasite, leading to dehydration through lack of fluids. This, in turn, can cause further problems, some of which can be serious and even life-threatening. Get in touch with a veterinarian immediately if you feel that your dog is severely dehydrated. Worms can cause damage to the digestive tract of your dog. In some cases, this can lead to intestinal blockage, particularly when younger animals are involved. Providing effective treatment early, and monitoring your pet's condition throughout this treatment, can avoid this situation. Other organs can also become damaged by a worm infestation in your dog. This can be caused by increased strain placed on vital organs, lack of hydration and adequate nutrition, or a combination of several factors. If your dog falls victim to an intestinal parasite, there is a risk that a similar parasite may be passed on to you, or to someone else that your dog comes into contact with. Children are particularly susceptible. When using deworming products for dogs, make sure to keep young children away from the animal until the problem clears up. View our product range and find the worming products you need for your dog and for your household. Our skilled and expert team is also on hand and ready to take your call. There are many different symptoms that your dog may display if he or she has worms or another parasite. Don't let worms get the better of your dog. 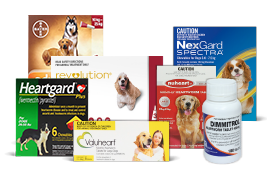 Instead, get the medication and treatments you require from the VetShopMax range. Get in touch with our team if you have any questions or concerns.